The question came at check-in: Did I want to forgo housekeeping for the two days I was staying at the Flamingo in Las Vegas in exchange for a $10 a day food and beverage credit? The clerk repeated himself. Some guests, he explained, didn’t want to be bothered during their stay — hangovers and all that. So last summer the Flamingo, along with nearly all of its sister properties in Vegas (it is owned and operated by Caesars Entertainment), decided to give people the chance to decline having their rooms cleaned in exchange for a voucher. I’m familiar with the card in the room suggesting guests reuse their towels and sheets to help the environment, but I’d never heard of hotels eliminating housekeeping altogether. But more and more are doing just that, and extending rebates, hotel points and other perks for those who take them up on their offer. According to MMGY Global’s Portrait of American Travelers, 2017-2018, 13 percent of United States travelers say that they have selected a travel service provider specifically for environmental considerations, up from 11 percent in 2014. Thirty-eight percent said they would be willing to pay more for a travel service provider who demonstrates environmental responsibility, a 13 percent increase from 2014. “What we’ve seen fairly steadily over the course of five plus years among travelers is that there’s a general sense and appreciation for anything related to sustainability and environmental issues,” said Craig Compagnone, senior vice president of business strategy at MMGY. Starwood launched its initiative at the Sheraton Seattle in 2008. Guests who declined housekeeping service for up to three consecutive days received a choice of either 500 Starpoints (in its Starwood Preferred Guests program) or a $5 food and beverage gift card. That program became Make a Green Choice and Starwood rolled it out to all of its brands except the St. Regis after Marriott International acquired Starwood in 2016, the company implemented similar programs in about 20 of its 30 brands in North America, including Marriott, JW Marriott, Westin, Sheraton, Delta, Renaissance, W, Courtyard, and Fairfield Inn & Suites. Under the Your Choice and Luxury of Choice programs at full-service hotels, guests are eligible for 500 Marriott Rewards points per day. Delta’s GreenSTAY offers guests the option to receive 250 Marriott Rewards points or have a tree planted. Some smaller hotels have also started doing it. Miramonte Indian Wells Resort and Spa, in Indian Wells, Calif., offers a $5 food and beverage credit, and Suncadia Resort, in Cle Elum, Wash., offers guests a $5 resort credit per day that can be used at its coffee shop, spa or fitness center. 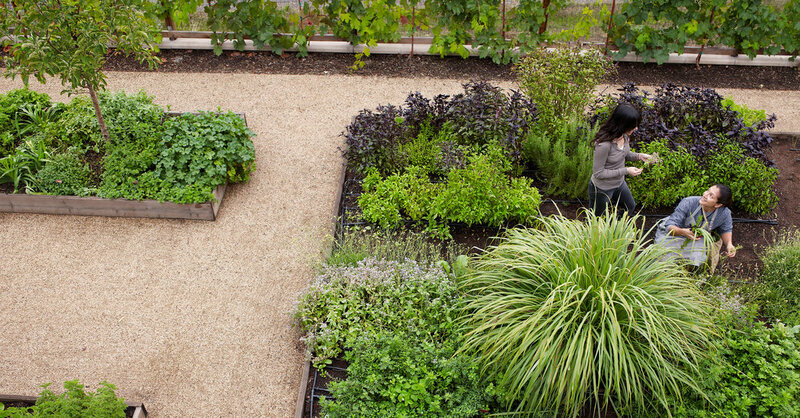 The hotel Bardessono, in Yountville, Calif., will plant one herb a day per guest in an on-site organic garden. This month, the Ridgeline Hotel in Estes Park, Colo., is launching a free drink incentive for each night guests stay and decline housekeeping. While it’s unclear how many people take advantage of these sorts of programs, Delta recently celebrated its 100,000th tree being planted since the program’s inception. Marriott says it has lowered its energy use by 13.2 percent, its water use by 7.7 percent and its greenhouse gas emissions by 15.8 percent between 2007 and 2016. Other hotels say they simply don’t want to bother guests on vacation. The Moorings Village in Islamorada, Fla., which has 19 private villas, discontinued housekeeping on its property altogether. The property will only clean when a guest requests it.